The Honda FA6500X is a robust and powerful generator that is suitable for a variety of industrial or domestic applications. 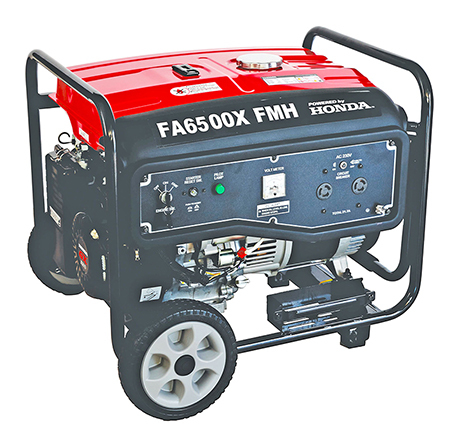 This fuel efficient and user friendly generator offers a host of features including an Eco Throttle, low level Oil Alert, an innovative AVR Regulator System and Low Noise Level operation to mention a few. If you require more detailed information on the FA6500X Generator, or would like to place an order, please send us an e-mail via our Contact Page or call your nearest Ian Dickie branch, our Sales Team will gladly assist with your request.